In many acts of war, mass terrorism and disasters, secondary environmental contamination, ecological damage and related human health concerns are inherent consequences. Acts of terrorism and warfare may be directed at the environment itself, targeting various natural resources and environmental media such as freshwater aquatic systems, air, marine ecosystems, plants and agricultural productivity. In war, and preparations for war, for example, the world has witnessed the devastation of sensitive ecosystems and biodiversity due to the application of highly toxic herbicides to the jungles of Southeast Asia to enhance the visibility of enemy forces, while poisoning the food chain and hundreds of indigenous peoples and servicemen and women with one of the most toxic compounds on earth: dioxin. In the 1991 Persian Gulf War, Saddham Hussein’s “scorched Earth” policy resulted in an environmental disaster when he ordered a massive release of oil into the Persian Gulf and set hundreds of oil wells on fire in acts of environmental terrorism and ecological warfare, severely impacting the marine ecosystem and air quality in the region. The Persian Gulf War theatre of operations has been dubbed as the most toxic battlefield in history, even more than the chemical warfare battlefields of World War I and the Agent Orange laced jungles of the Vietnam War. The multiple contaminants resulting from wartime activity included benzene, dioxins, furans, depleted uranium, low levels of nerve agent, DEET insecticide impregnated into warriors’ uniforms, respirable particulate matter, endemic diseases such as leishmaniasis, and the multitude of hazardous airborne substances generated by burn pits. On September 11, 2001, the U.S. experienced the worst terrorist attacks in American history when hijacked airplanes were used as fuel-laden, guided missiles of mass destruction which impacted the World Trade Center, the Pentagon and a field in Shanksville, Pennsylvania. 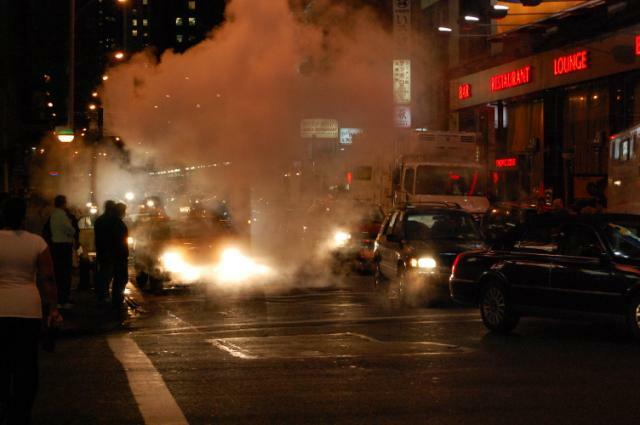 While these heinous and cowardly acts of terror inflicted serious mass casualties and resulted in the mass murder of over 2500 individuals, including several hundred first responders, the physical destruction, fires and structural collapse of the iconic Twin Towers in New York City, generated a large plume of highly corrosive, abrasive and toxic respirable particulate matter, aerosols, gases and fumes which have resulted in a legacy of disability and death from environmental and occupational exposures 17 years later. The composition of the World Trade Center plume consisted of various contaminants one would be expected to find in a severely contaminated hazardous waste site, including PCBs, dioxins, furans, mercury, cadmium, lead, asbestos, copper, chromium, polycyclic aromatic hydrocarbons, sulfur dioxide, pulverized concrete, silica, titanium, fiberglass, benzene, acidic gases, human remains and blood and even low levels of radionuclides, such as americium from smoke detectors. In addition to these substances, the high alkalinity of the pulverized concrete proved to be highly irritating and corrosive to the mucous membrane linings of the respiratory and gastrointestinal systems. 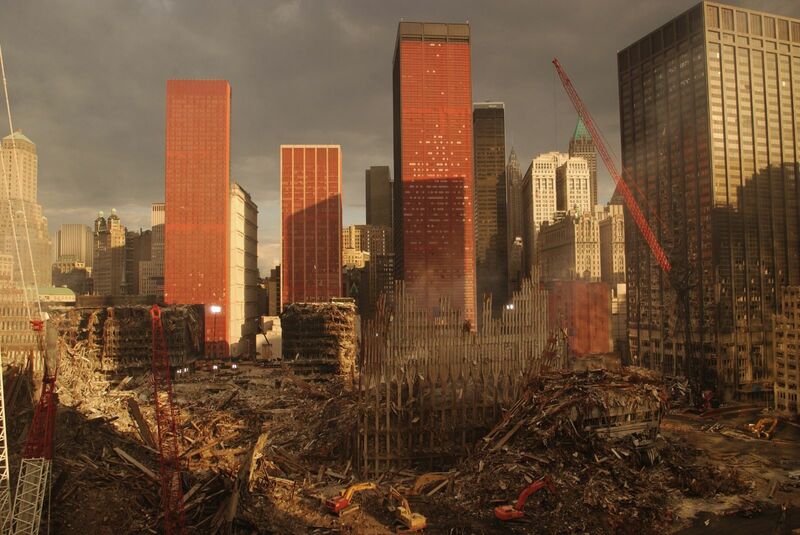 The World Trade Center disaster required elaborate and systematic environmental sampling, monitoring and laboratory analysis of dust composition and other substances, as well as on and off-site environmental clean-up and remediation. It also has required on-going medical monitoring and medical-epidemiological surveillance of exposed individuals ,groups and populations, including residents of Lower Manhattan and visitors during and in the immediate aftermath of the attacks. 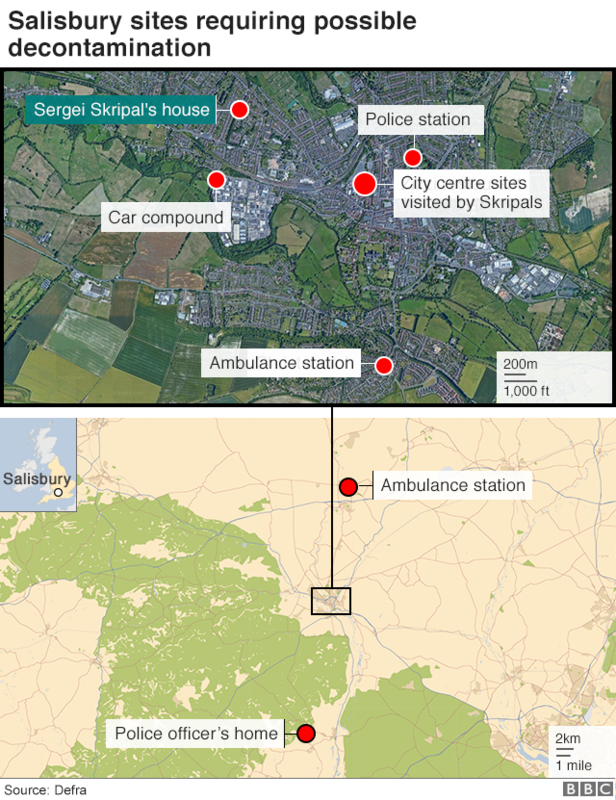 The international community, especially defense, intelligence, security, civil protection and first response agencies, are still aghast at the Salisbury, England covert chemical attack on Sergei V. Skripal and his daughter and are analyzing the threat of political assassinations utilizing the synthetic neurotoxicants known as Novichok, the series of Russian military -grade nerve agents alleged to be more toxic than VX. These compounds appear to be environmentally persistent and pose challenges to first response personnel , health care providers ,environmental protection and public health officials. Scrupulous environmental surveys sampling ,and monitoring, appropriate PPE, available medical countermeasures and comprehensive decontamination and remediation of release site and associated environs are critical to the response to these attacks. Emerging infectious diseases, pandemic and natural disaster threats also pose significant challenges to environmental and global public health ,and have critical interrelationships with domestic and international security. These threats can overtax health care and public health infrastructures and severely impact other segments of critical infrastructure, such as transportation, food supply and distribution and essential utility services. Complete societal collapse is entirely a possibility given that the most critical infrastructure and essential services can be severely disrupted and rendered dysfunctional via factors such as illness and death of essential workers which result in severe and critical personnel shortages and an interrupted supply and logistics chain. The recent outbreak of Ebola viral hemorrhagic fever in the Democratic Republic of Congo has already claimed over 200 lives amidst a background of rebellious violence and kidnapping. These episodes of civil unrest and violence serve to thwart medical response and relief efforts by officials and NGOs ,and can effectively spread contagion to other areas in the region by breaching or bypassing quarantine and containment efforts and via population displacement. The recent catastrophic hurricanes in the Gulf Coast and Southeast regions, have also impacted essential public utilities, waste storage facilities , overwhelmed wastewater treatment facilities and have resulted in an increased patient surge to medical and healthcare facilities requiring Federal assistance. Contaminated floodwaters, secondary fires and explosions , sanitation challenges, mass sheltering, pre-existing medical conditions , significant loss of infrastructure ,psychological trauma , unmet social needs, inadequate diet and nutrition ,increased violence and security threats ,sudden homelessness , are all common denominators in natural disasters that reveal the stark reality of life in an austere environment. Wars, terrorism , natural and human induced disasters can generate extensive damage and destruction to our life sustaining environmental support systems , create an austere environment by disruption of critical infrastructure and essential services , breed and spread disease , exacerbate chronic illnesses , induce or promote behavioral health conditions, overtax health care and emergency services. Indeed, the environmental , biopsychosocial and overall health and welfare of entire populations can be severely undermined and result in an overwhelming complex humanitarian disaster requiring extensive resources and management. All citizens and stakeholders must take an active role in emergency preparedness and strive to enhance the resiliency of their own communities and be prepared to be self reliant during and in the aftermath of any event that could compromise health, wellness ,safety and individual or family security. In addition, our governmental leaders, policy-makers, crisis, emergency and disaster managers ,public safety ,healthcare and public health providers and authorities must work in tandem and seamlessly ;to be prepared and equipped to meet and rise above the current and future challenges presented by our constantly evolving multi-threat environment. We must all work towards preventing and mitigating the calamities that lend themselves to preventive and protective strategies and countermeasures. We are obligated to enhancing the resiliency of our communities and to ensure the continuity of our values, cultures and societies. The recentent catastrophic hurricanes in the Gulf Coast and Southeast regions, have also impacted essential public utilities, waste storage facilities , overwhelmed wastewater treatment facilities and have resulted in an increased patient surge to medical and healthcare facilities requiring Federal assistance . Contaminated floodwaters, secondary fires and explosions , sanitation challenges, mass sheltering, pre-existing medical conditions , significant loss of infrastructure ,psychological trauma, unmet social needs, inadequate diet and nutrition, increased violence and security threats, sudden homelessness, are all common denominators in natural disasters that reveal the stark reality of life in an austere environment . Wars, terrorism, natural and human induced disasters can generate extensive damage and destruction to our life sustaining environmental support systems, create an austere environment by disruption of critical infrastructure and essential services, breed and spread disease, exacerbate chronic illnesses, induce or promote behavioral health conditions, overtax health care and emergency services. Indeed, the environmental , biopsychosocial and overall health and welfare of entire populations can be severely undermined and result in an overwhelming complex humanitarian disaster requiring extensive resources and management. All citizens and stakeholders must take an active role in emergency preparedness and strive to enhance the resiliency of their own communities and be prepared to be self reliant during and in the aftermath of any event that could compromise health, wellness, safety and individual or family security. In addition, our governmental leaders ,policy -makers, crisis, emergency and disaster managers ,public safety ,healthcare and public health providers and authorities must work in tandem and seamlessly ;to be prepared and equipped to meet and rise above the current and future challenges presented by our constantly evolving multi-threat environment. We must all work towards preventing and mitigating the calamities that lend themselves to preventive and protective strategies and countermeasures. We are obligated to enhancing the resiliency of our communities and to ensure the continuity of our values, cultures and societies.